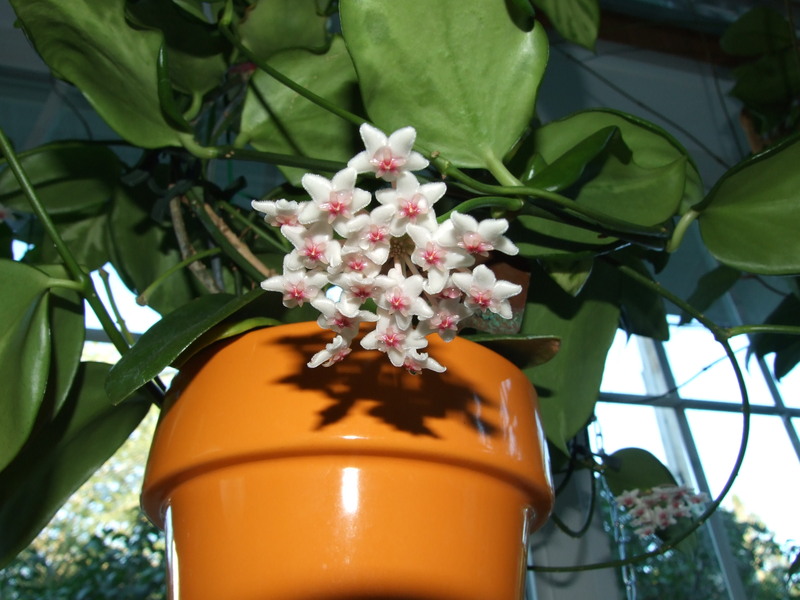 This is a great little Hoya that does not grow too large, and even without the flowers can make a very pretty specimen plant. The leaves are capable of having many shades of red and yellows when grown in good light. 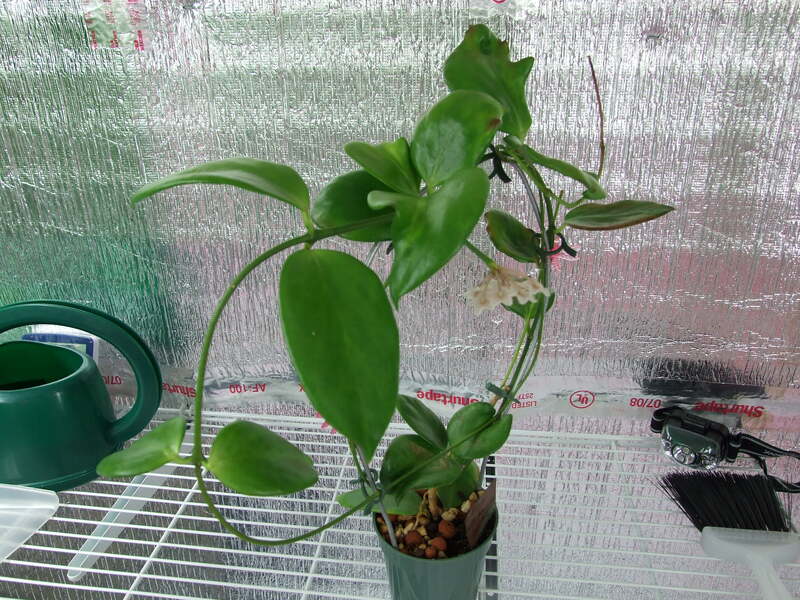 I have had the plant pictured for about 3 1/2 years and just had to take cuttings to restart the plant. It will do well with average care – just be sure to let dry between watering- especially during the winter months. The specimen pictured was a cutting from David Liddle and has his number of IML 1120.